Hi, I am writing in regards to the property at 2215 Dewberry Ln, Bryan, TX 77807. Please send me more information or contact me about this listing. This listing is NOT a foreclosure. College home needed? Investment property? Need corporate lodging? With each bedroom having their own bathroom and walk in closet, the options are endless. Upstairs has a flex area that can be used as a study, meeting area, extra living room space, and many other possibilities. Move in ready as all furniture and household items are available for separate purchase. The open floor plan has numerous windows offering natural light and private wooded views. 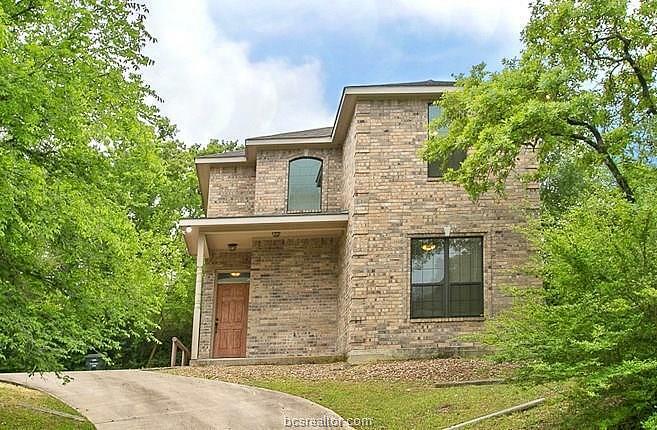 Home is nestled among trees on a wooded .26 acre lot, all within walking distance of Westwood Estates Park.This MLS Resale home is a single family home located in Bryan. It offers in size, 3 beds and 3.5 baths. Review its detailed information and determine if this Bryan MLS Resale has the qualities you are looking for. Copyright 2019 Engel & Vlkers. All rights reserved. All information provided by the listing agent/broker is deemed reliable but is not guaranteed and should be independently verified.